On April 18th of 2014 Dr. abraham Weizfeld was finally serifed for his PhD. Dr. abraham Weizfeld had already earned his PhD yet for and yet for causeless reasons his rite as a PhD was challenged. 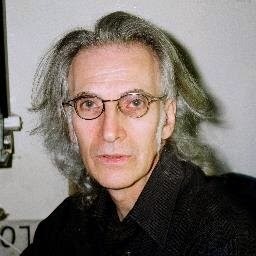 But just yesterday he was finally certified I had spoke to Dr. abraham Weizfeld about the matter and it seems that a Zionist professor did not want his Thesis to circulate as a Academic Thesis. We where hoping to find that Dr. abraham Weizfeld Ph.D would be recognized as a credible Academic because there was no legitimate case against his rite as a PhD. This is a Passover victory. There is no such as a Jewish race or a Jewish ethnicity. To understand what the Jewish Nation is we need to understand that a Nation is not the same thing as a Nation-state. ISRAEL is not a Country, there may have indeed been a Country by the Name Israel however it is long gone, scripture-tradition says that the Assyrians did away with the Kingdom of Israel. Judah is the name of a Tribe that is not that retentive to Judaism. Judaism is NOT a tribal-Religion although Judaism may indeed have tribal tenancies. JUDAISM IS A CULTURAL-RELIGION thus this is why anyone can convert to Judaism if this is pursed well enough and why someone born Jewish could be Atheist or Agnostic yet still be grafted into Judaism. Jewish costumes are costumes of Human Rights and Social Justice. The State of Israel is NOT Jewish and it never will be. We the Jewish People are a People-Nation(Am Goy)! We the Jewish People are NOT racial or ethnic. The Nationalism associated with the State is counterpoised to the national identity associated with ethnicity, in the social context. While the incorporation of ethnic national identity with the State gives rise to the “exclusive nationalism”, national identity per se is associated with Civil Society. 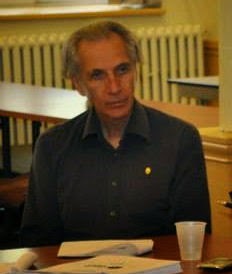 The evident contradiction of the two concepts of national-identity and The State is found in the mutual demands for self-determination for acommon territory, as is the case in Palestine/Israel or the impasse of Québécois/senational-identity, in the context of the Dominion of Canada.The tendency of the 20th Century had been to seek ever more numerous numbers of States which separate the various ethnic identities on a territorial basis with the accompanying series of ethnic cleansing operations. 1. We, the Jewish People, are a wandering Nation who have been seeking a secure right to live in those lands where we reside. It has been written that the Jewish nation is the most oppressed in Europe, and judging from the persistence of anti-Jewish prejudice, one has to acknowledge the distinctly historic proportion of that oppression. Never have we been permitted a continuous homeland for more than a few hundred years before another expulsion takes place. Now it seems that the possibility of complete extermination is not out of the question, judging by the degree to which the recent Nazi Holocaust was permitted to proceed. The consequences of such a reactionary demonstration of power have not been concluded, since fascism continues to function, and the response of a permanent revolutionary wave throughout the world has yet to reach its full proportions. 2. At the present time, confusion is spread by those seeking only to establish a power-base for themselves and so will attack Jewish people while posing as either anti-Zionists, German nationalists, Christian zealots, or more recently, as "White" Power advocates. The manipulations of the newer-Nazis and even former Nazis are by no means irrelevant as Western Nation-States have repeatedly demonstrated how much suffering they are willing to have the Jewish people endure in continuation of the various crusades launched against us and the Arab and African Muslim nations. and parties have moved into Palestine based on the disadvantaged position of the resident population. Zionism built itself upon the Western need to make its amends when at the same time the West rejected the Jewish post-war refugees, who could not tolerate racism in Europe any longer or Stalinism in the Soviet Union. The Zionist parties accepted the Christian States' exclusion of the Jewish people from its very inception in exchange for their support. The realization of Zionism is the fulfillment of the Protestant "restorationist" programme which preceded it. The successes of Zionism have merely been accomplished through its assimilation to the Western Christian-Statist notions of religious militarism with its Crusader orientation towards the "Middle East". The Jewish Zionists adopt the Christian image of ancient Israelites, while the actual Israelites actually had more in common with their Semitic brothers and sisters, including their common Aramaic language, rather than Hebrew. Israel resembles the 52nd state of the U.S.A. more than the Kingdom of David and Solomon (who was also of Hittite parentage). The Jewish people need to liberate themselves from the Christian Nation-State and the ideology of Zionism which is only the colonized mentality of assimilation into the dogma of Protestantism, that sees the only place for Jewish people being in Israel. 4. The Zionists and the Arabic peoples are in a state of no war / no peace which the Israeli governments seek to perpetuate in order to suppress and maintain the Palestinians in exile. Only the balance of forces has resulted in certain limited and partial concessions towards the independence of the Palestinian People. While such concessions are welcome, these represent only the beginning of the reconciliation (SaaLaHa) process. It is obvious that the resistance of the Palestinian youth in the Intifada since 1987, the diplomatic initiatives of the Palestine Liberation Organization and the internal Israeli opposition of the Peace Now - Gush Shalom movement has brought about the agreements for which the Israeli and U.S. governments take credit. 5. However the Palestinians and the Jewish people are tied together by bonds stronger than war, more amiable than the antiquity, and more than each People realizes. It is not a semantic coincidence that anti-Semitism means both the Jewish and the Arabic peoples are feared and hated in the Occidental political culture. 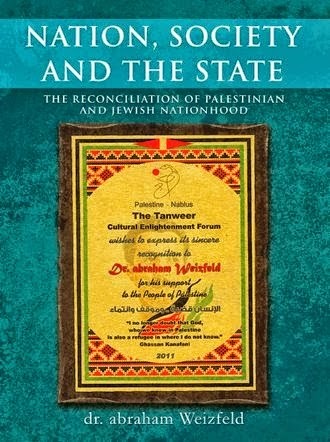 The bonds that unite Jewish and Arab people in practice extend to the degree that the Palestinian struggle should necessarily stand for the liberation of the Jewish people as well from anti-Semitism and from Zionism; and the Jewish struggle for liberation needs to also include the liberation of the Palestinians, each in reciprocity to the other. It is evident that a common struggle against resurgent fascism is a vital necessity. 6. It is necessary to break out of the impasse constructed by the Zionists who believed that Zionism presented the only recourse for Jewish refugees, and now presents the only recourse for future security, as if the Israeli State is to be worshipped as a deity. The Jewish People must be liberated from Zionist ideology by the actual fulfillment of our civil and collective rights in pluralist society, by national-cultural autonomy and possibly even territorialism. Territorial claims of course must only be considered valid if they respect such claims in general. One takes into consideration that the achievement of national auto-determination by the pursuit of independence is, of course, the right of every national entity, if only accomplished by means of the reciprocal principle, respecting mutual interests and rights. 7. Although both the WWII Allies and the Zionist movement presented Palestine as the only avenue to leave Europe for Jewish people in 1947, the reluctance of many Jewish Holocaust Survivors living in the Displaced Persons districts to become Zionist colonialists enforced their emigration to North America. More recently the Zionist enterprise has not even been considered a desirable situation by Israelis themselves, who have emigrated en masse. The Jewish people in the Federation of Russia do not have even a choice in the matter because of the U.S.A. / Canada quota system, in much the same way as they were excluded before and during World War II, with the collaboration of the Zionist organization. whether or not this conclusion is welcomed by any Palestinian party. To begin with, one cannot ignore, and so accept the existence of fascists and even Nazis presenting themselves as anti-Zionists. It should be obvious as a counter-revolutionary act, and that it serves to hinder the development of a Jewish alternative to Zionist hegemony. The same is true in return; whether or not Jewish people accept that peace will only be achieved with the emancipation of the Palestinians -- all else is conjunctural to both Peoples. The ties that bind our two peoples are a consequence of the recent European purging of the Jewish population even though the Arab peoples had no responsibility in the Holocaust. The pertinence of the nature of Jewish existence to Arab concerns should rather be based upon the necessary world perspective with which to achieve their own national emancipation. This is a strategic consideration which identifies racism and fascism as common concerns. Arab nationalities in Occidental countries know very well what these concerns are. 9. We shall not be enslaved, made homeless, nor killed when it is so dictated by the whims of ideology, and so we are hated whether we be Jewish or Palestinian. Why then should either of us consider the Occidental World to be our ally, and the other to be an enemy. We are of the same status, origins and oppression, and so if we cannot co-exist in peace then no-one, it seems, will be able to, because of the powers which strive for political hegemony and oligapolistic economic dictatorship. 10. Together with the continuing degeneration into a social existence of perpetual war and war preparation -- called peace -- there has arisen (Yesh Gvual/ There is a Frontier amongst the Israeli military, Shalom Achshav / Peace Now) a dynamic of resistance to war and its corresponding economic stagnation. Despite all the formal rationales designed to perpetuate what is universally abhorred, a Jewish opposition to the Zionist leadership and their followers of both the left and the right has emerged. This opposition is inevitable as long as we are pushed, educated, trained, ordered, tricked and then led into fighting yet another war, a secular 'Sacrifice for Israel'. Ironically the perpetuation of the rationale for violence has rebounded unto itself with the assassination of the Israeli Prime Minister Rabin himself, because he failed to live up to his ideology's prerequisites, by having sought to accommodate the leading Palestinian figure, the President Yassar Arafat. 11. The need and desire for a Jewish territory that is self-determinant -- freed from expulsions and pogroms -- has been led into the fortified ghetto being called Eretz Yisroel but which actually operates as the State of Israel under the auspices of the U.S.A.
12. The territorial solution that had been sought has been converted into an absolutist religious idea, replacing the traditionalist culture and its meditative routine of ritual. Prior to the Holocaust the concept of the deity was considered to have the power to deliver the chosen people towards salvation. With the dissolution of religious ideological practice itself, there arose territorialist Zionist parties based on the surviving religious conviction that only in the Land of Israel (Canaan) could there be formed a Jewish homeland. Such an idea was encouraged by the Christian States which were refusing entry to the Jewish refugees with the complicity of the Zionist parties. 13. However, the nature of things is that currently a greater proportion of Jewish people live in lands other than Palestine (Israel): in North America, Russia, Europe, South America, the Makreb (north Africa) or other Arab countries, southern Africa, India, Pakistan, China and elsewhere. In fact less than a third of the world's more than 14 million Jewish people live under the State of Israel. The fundamental premise of Zionist theory has in practice been ignored or rejected consciously by the greater proportion of all the Jewish people, who are non-Zionists. Israel is thus not considered the sole legitimate homeland of the Jewish people. 14. The Jewish nationality exists within and with out the Israeli State. However the non-Israeli Jewish communities live within an illusion of assimilation oftentimes sugar-coated in Zionist acquiescence or pretension. While the territorialist yearnings of Jewish people -- to form a majoritarian society -- is currently sifted into the Zionist pot, the territorial need should actually be satisfied in those areas where Jewish communities are centered, where our rights as citizens must and shall be met to truly satisfy our social existence. This is auto-determination for all the Jewish people rather than the pseudo-independence of the Israeli State. reaches (as did Israel Zangwill) "a land without a people for a people without a land", and not by means of the Israeli-supervised Sabra-Shatila massacre -- a pogrom which has ended the illusions of all who are not deluded. After the Hebron reoccurrence and the assassination of Yitzhak Rabin, such anti-human outbreaks can easily be seen as being integral to the lingering status quo situation. by the past Director of the Planning Center of the Palestine Liberation Organization in Beirut, Lebanon, and currently Palestinian Authority Planning Minister (Nabil Sha'ath), as early as 1977, that the Palestinian Charter; signifies equally, that the exercise by the people of Palestine of their right of self-determination in Palestine does not include the right to exclude the Palestinian Jews from Palestine, that signifies also that this right does not include the right to create in Palestine a State solely Arab. The right to self-determination of the Palestinian People, applied to the Jewish Palestinians, means that they must exercise this right on the land of Palestine, and that this right does not include the right of separation and consequently, the exclusion of the Arab people of Palestine. This is why the right to self-determination of Jews and of Arabs in Palestine must be exercised in common on the same land, Palestine. The Principle of Reciprocity is thereby acknowledged by Shaath: that signifies the end of all States which require that the self-determination of its ethnic group assumes the exclusion of another ethnic group ... it is thus the definitive end of all States in which segregation exists de jure or de facto. Ethnic-cleansing then is refuted by the PLO and the hypocrisy of Zionism remains. Currently the Palestine National Authority is attempting a negotiated settlement in ambiguous terms which provides for the partial solution of two States. Further negotiations between the two States cannot be expected to produce the desired results because of the terribly unbalanced power relation. 17. According to tradition, the Jewish people are the second brothers and sisters of the Palestinian Arab People, and it should be understood that the respect given to another is the measure of the respect to be expected, in any reciprocal manner of living. We, the Jewish People, should acknowledge that the Palestinian tradition parallels the Jewish history in duration, intensity and tragedy. We recognize the historic cultural affinities with the Holy Land by the Jewish People but we do not consider our history to be exclusive of others. The Neturei Karta provide an example of Jewish residents who have lived in peace with the Palestinians in Jerusalem. there is not enough space for the Palestinians' return, but many Israelis currently wish to leave if they could in any case. the first attempts having been in 1791, the Czarist prison called the Pale of Settlement in western Russia, and in 1926 at Birobidjan in easternmost Russia. 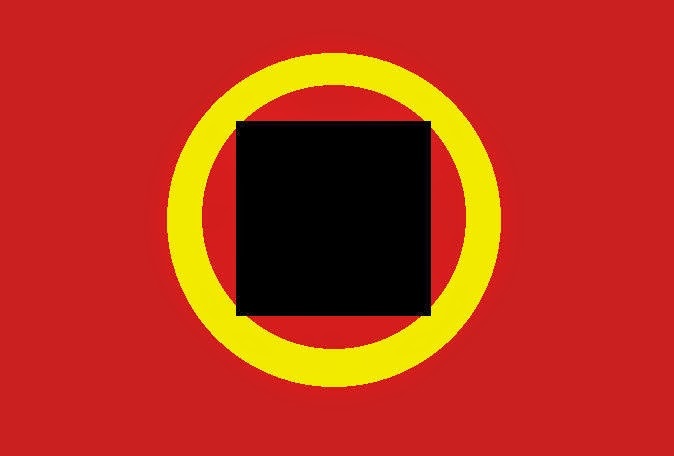 A true Jewish Land failed to materialize from the Bolshevik revolution, despite the Leninist promise to the Jewish Bund / Union organization of 1905. Those attempts have failed the test of viability and yet the Jewish people have continued to desire those features of life unavailable to them in the prevailing States; that is, urban national-cultural autonomy in existing settings and the need for autonomous or independent territories. This need for a Land is evident in the worship from afar politics of the various Jewish communities towards the Israeli State, a desire which is based upon the real needs for land, security, peace and the freedom of identity and culture historically denied the Jewish people. Existing societies do not provide for these material necessities, and prevailing political doctrines do not consider these Jewish needs. However Jewish territorialism should not and need not mean the abandonment of traditional Jewish opposition to political power manipulations and Statism. Considering the failure of the Zionist project, there may be a need for such territories to accommodate Sephardim and Ashkenazim in their respective regions in order to facilitate the departing Israeli population who wish to remain a majoritarian society or who have no country to go to and do not wish to remain in Palestine. At the present time the Russian Jewish population is being obliged to emigrate to the Zionist State even though previous immigrants now wish to leave. The crisis in Palestine is an inter-national problem and should be placed in a world context. The solution to Palestinian liberation is intertwined with the liberation of the Jewish People worldwide. As such it is conceivable that an Ashkenazic territory could be formed to accommodate the Jewish populations of Russia and Europe, as well as an autonomous territory for Sephardim in the Makhreb, and national - cultural autonomy for the Hebrew Jewish nationality in Palestine. 20. In this aftermath of the Nazi Holocaust, no one should deny the hostility of prevailing Occidental Nation-States to national minorities, as none of the participants or spectators in that war of extermination have undergone a substantial transformation. The Zionist establishment follows these Nation-States in parallel, seeking to jump into the footsteps of power politics. How bizarre it is that a stockpile of at least 200 genocidal nuclear bombs with a Jericho intermediate-range missile to carry them have been accumulated by a State professing peaceful intentions and created in the aftermath of our genocide. This hypocrisy is evident in the Israeli and Zionist support for the criminal actions of the USA-led axis with respect to Iraq, Iran and the Libyan Jamahiriya. dare to dictate obedience to Zionism after its adherents generally acted as spectators to the spectacle of the Holocaust? 22. 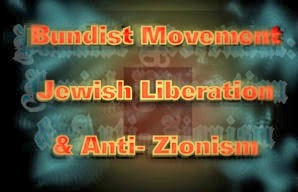 In the tradition of the early nationalist formation, the 1897 Jewish Bund (General Jewish Workers' League), and based on prior efforts in the development of the Jewish People's Liberation Organization such as the Toronto-based Alliance of Non-Zionist Jews (1974), the group Canadian Jews Supporting the Palestinians (1980 UN - NGO) and, the publication Logikun Sychel, we are building a movement for liberation on an inter-national basis. We are also indebted to the Israeli Committee Against the War which publicly protested the 1982 war on its very first day and so inspired the Peace Now movement of 500,000 participants. 23. The Jewish People's Liberation Organization, a non-Zionist formation, acts on behalf of the Jewish and Palestinian Peoples to generate national emancipation in cooperation with the Palestinian movement for the liberation of Palestine, as a contribution to making war unneeded and unwanted. As an ally of the Palestinian People in this struggle, we greet the Palestine National Council in solidarity. consequently we declare our support to the International Human Rights Association of American Minorities (NGO) and the Anti-Racist Action (ARA) movement. in peace are assured their individual civil and collective rights. choice within each nationality itself. Recuperation or compensation for familial properties of pre-1948 Palestine shall be established by treaty. country possesses or prepares nuclear, biological or chemical weapons of mass destruction. Transport of materiel used in the production of such devices shall be forbidden by all countries. key countries in the region. competing blocks along with continuing regional arms escalation. plane. The Palestinian Arab People and Palestine form an integral unit in the Pan-Arab Nation. amongst the nationalities that exist within the industrially developed countries as well. 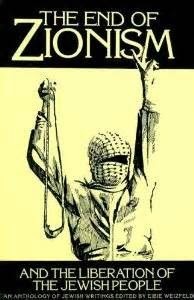 respected irrespective of the presence of the Zionist State. Congress, irrespective of any possible Zionist or religious affiliation. the development of the historic dynamic of Socialist Permanent Revolution.